Chicken Potato Croquettes with shredded chicken, mushrooms, and mashed potatoes in a golden-crisp bread coating are a tasty appetizer or snack everyone will love. 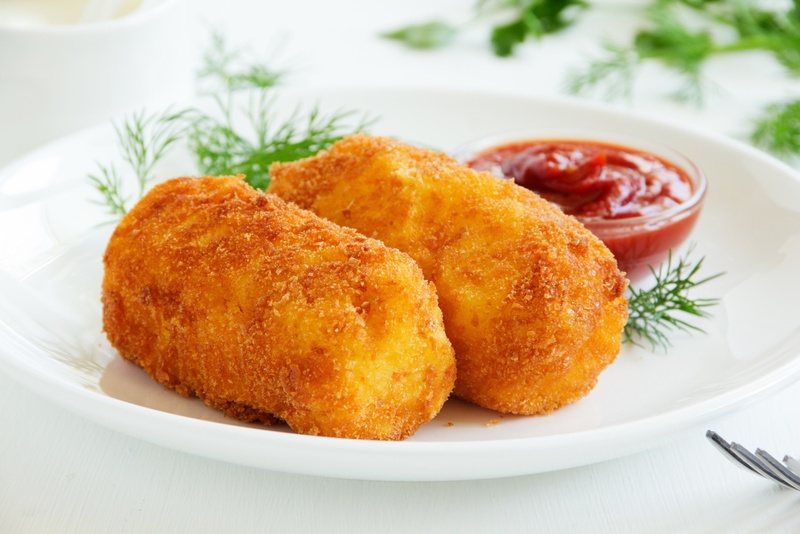 These Potato Chorizo Croquettes are a crispy treat for parties and game day. A crispy shell surrounds a mix of creamy mashed potatoes, queso fresco, and chorizo sausage. A crispy shell surrounds a mix of creamy mashed potatoes, queso fresco, and chorizo sausage.